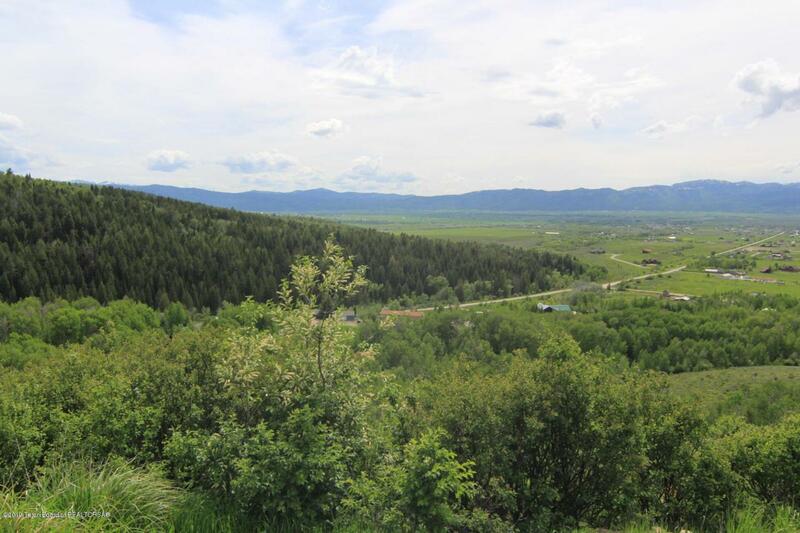 Elevated heavily wooded lot with pine and aspen in the exclusive Shooting Star Ranch development at the western base of the Teton mountain range. You'll have stunning views from his 1.96 acre hillside location and excellent roads will give you access at all times of the year. Fox Creek canyon views, as well. See attached price list for additional lots the seller has available in this beautiful subdivision.This lot can hook up to the community water system. Listing provided courtesy of Lora Davis of Silver Peaks Realty.